From watching movies to reading books, there are many ways to improve your Portuguese. Of all the different approaches, one of the most important and effective ways is just to practice speaking it. That’s sometimes easier said than done, even if you live in Portugal. Many expats living in Portugal often find themselves having the same conversations for example in restaurants and cafés. After a while, you end up reciting the same phrases over and over again and never really pushing yourself. That’s why it’s important to get out there and find ways to practice speaking Portuguese. This list will show you just a few different ways you can do that. Portuguese classes can often be very academic, with a strong focus on textbook learning and grammar, but did you know that you can take conversational Portuguese classes as well? Normally, this is something that you have to arrange on a one-on-one basis but some schools, like Lusa Language School in Lisbon, actually have conversational group classes that they offer. Taking a conversational class will not only help you to loosen up and get used to speaking Portuguese but, with guidance from the teacher, will help you to work on improving your Portuguese accent and pronunciation as well. A language tandem is where you meetup with a Portuguese speaker who’s learning your native language, and you practice speaking both languages. While you’re speaking Portuguese, they’ll correct any mistakes you make and vice versa. There are several language tandem websites out there like Tandem.net as well as Facebook groups for finding language partners. There are pros and cons to language tandems. The main pro is the price: it’s free. In terms of cons, however, it can be time-consuming practicing both languages, and it can also be difficult to find a tandem partner who really corrects you in the same way that a teacher can – especially when it comes to more nuanced things like pronunciation. Speed dating could be a fun and unique way to practice speaking with new people and, thanks to speed dating companies like Speed Party, there are now regular events in both Lisbon and Porto. You have the option to keep it simple, and just to discuss who you are and what you do, or to really delve into deeper territory like what you’re looking for in a relationship. It depends on how confident you’re feeling and how much you want to push yourself. Who knows: you may even kill two birds with one stone and meet the love of your life as well. Most of us hate being sold to but, if you’re living in Portugal, it could be a fantastic way to practice your Portuguese. It’s especially useful for practicing speaking Portuguese over the phone, a skill that’s essential for living in Portugal. There are countless ways to let yourself get sold to. Look out for people with clipboards in shopping malls, fill in forms that you know will be hanged to a telemarketing team, go to property viewings, and even approach Jehovah’s Witnesses. Don’t live in Portugal? If you really want to be sold to, you can still get a Portuguese phone number using Skype. Living with Portuguese people is one of the easiest ways to practice speaking Portuguese. If you live in Portugal, it’s simply a case of looking for room rentals that are advertised by Portuguese people. Or, if you live alone, why not rent out a room to a Portuguese person? Even if you don’t live in Portugal, it’s still possible to live with Portuguese people – especially if you live in a city with a large Portuguese community like London, Dublin, or New York. Just find the Portuguese Facebook groups for that city and you’ll probably see plenty of advertisements for room rentals as well. Don’t want roommates all the time? Consider hosting native Portuguese speakers in your home through Talk BnB. Chatrooms are a great way to get talking to strangers and, thanks to technology improvements, an increasing number of chatrooms are audio or video-based rather than text-based. There’s a chance that you could end up chatting to a few oddballs but, if you’re willing to take that risk, sites like videochatpt.com could be the perfect way to practice your Portuguese with a few random Portuguese strangers. Life in Portugal revolves around the local pastelaria in the same way that life in Ireland revolves around the pub. Start spending enough time in your local and (slowly) the other people in there will begin recognising you and speaking to you. There’s not much to this approach other than to choose one café and stick to it, rather than going to different cafés all of the time. It really is as simple as that. 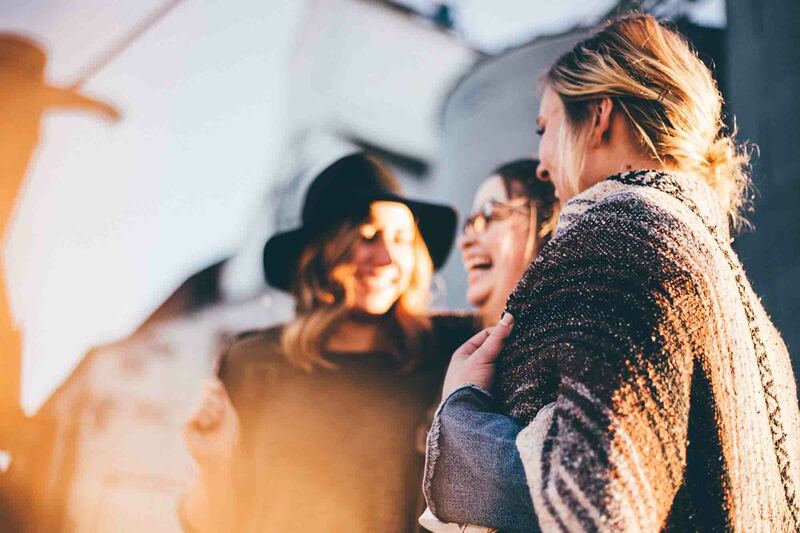 Making friends in Portugal, or anywhere new, isn’t always easy, but apps like Patook list people who are living in Portugal and looking for new friends. If you can’t find anybody on Patook, you could do what an increasing number of people are doing and try to find friends using Tinder. There are also quite a few meetup groups in places like Lisbon that are focused on making new friends but, if you can’t find one that’s specifically about making new friends, just go to any meetup that you can find. Most meetups in Portugal, even those that have a very strong expat focus, usually have at least one or two Portuguese people there. Rather than speaking to them in English, as you’ll be tempted to do, force yourself to speak Portuguese instead. If all else fails, try talking to yourself in Portuguese. Sure, you won’t have someone to correct your pronunciation, grammar, or accent, but it’ll force you to think and speak in Portuguese a little more. You might look a little crazy, sure, but the truth is, if you’ve decided to learn a new language like Portuguese, you’re probably not completely sane, are you?